Potawatomi began eating wild rice after settling around the Great Lakes between 800 and 1,300 years ago. It served as a staple of their diet and sustenance. They named it menomen — meaning “the good seed” in English — and understood it as a gift from the Creator. Wild rice harvesting and processing required everyone’s participation, and they built their society around it as a result. Wild rice’s ability to last throughout multiple seasons and heartiness make it a practical choice. 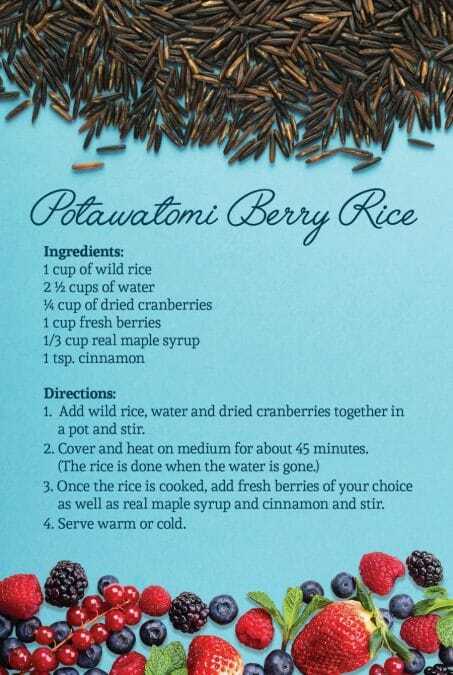 Both daily and ceremonial recipes featuring it as a central ingredient became traditional, and Potawatomi use wild rice porridge as a first and last meal. The CPN’s community garden Gtegemen (We Grow It) assistant Kaya DeerInWater upheld that tradition with his boys at around six months old. His older son spat out the wild rice, which matched his picky eating habits. However, his younger baby treated it differently. Mamogosnan’s Gifts: Origins of the Potawatomi People features a flat-bottomed canoe, knockers and push poles to help visitors visualize harvesting wild rice. The museum also built a large tube from floor to ceiling filled with enough grains to feed a family of four for a year, roughly 300 pounds. The CHC staff used the visual element to facilitate a palpable connection to the prophecies. Harvested from Zizania palustris, menomen requires specific environmental conditions to flourish, and it thrives around the Great Lakes. It needs water to survive and blooms once a year. The wild rice, surrounding fish and other creatures form a co-dependent relationship. Their complimentary life cycles allow them to use each other for protection and fertilization. To harvest, at least two people get in a canoe and use push poles to take off from the lake or river shore. The calm movements leave life below the surface of the water uninterrupted. While one steers, the other uses wooden sticks called “knockers” to hit the stalks bent over the edge of the canoe. Some of it makes it in the boat, while some of it falls into the water and reseeds the area. This method accomplishes two goals at once. “Going in and collecting it is almost like a ceremony in and of itself,” Mosteller said. “You go in with intention. You go in with a certain level of reverence — you take what you need and no more. Companies based in Northern California produce most of the wild rice sold in grocery stores today. They harvest it in rice paddies with motorized equipment, which uproots the plants and creates the need to reseed the area deliberately. “It was commercial, industrial harvesting of wild rice that didn’t take into consideration all of these things, all of these teachings that walking through the museum you’ve learned about thus far,” Mosteller said. Climate change and real estate development around the Great Lakes diminished wild rice areas over time. Recreational boating and increased rainfall totals deepened coastlines, leaving little space for menomen. Boat motors also drove away the aquatic wildlife, uprooted the plants and destroyed habitats. “Now, we have houses on lakefronts, and boats, and docks, and marinas, and irrigation canals, and all those obstacles to the natural flow of where you could find wild rice,” DeerInWater said. DeerInWater and Mosteller said a modern disconnect from food production perpetuates these problems. Mosteller pointed out the recent development of processed grocery store items and frozen meals — both using a vast amount of resources — leave people unable to place food in its whole form. DeerInWater called the Native’s disconnect from land and change in agriculture post-European contact the “colonial commodity food system.” He encourages Native communities to re-establish ancestral practices. In the last several years, some Nishnabe and Great Lakes tribes took wild ricing into their own hands and started habitat restoration efforts through their environmental departments. 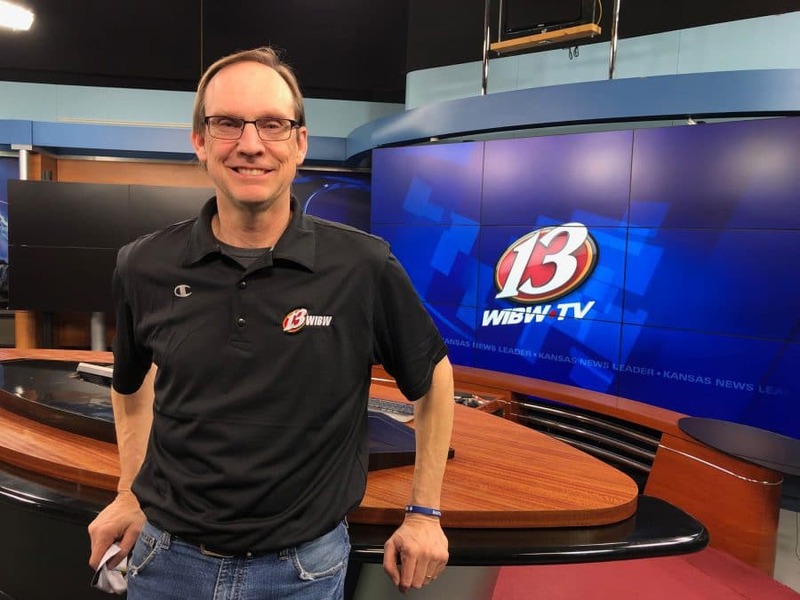 “I don’t think we can be so naive as to think we’re always going to have it if we don’t look at what we’re doing to the environment around us,” Mosteller said. To find out more about Potawatomi agricultural practices and CPN’s community garden, visit potawatomiheritage.com. Visit potawatomi.org/events to find information about garden demonstrations, workshops and volunteer opportunities throughout the month.